Recipes - Radiant Reality | Nutrition. Healing Arts. Inspired Living. This tea is an incredibly simple to make and it benefits your body on multiple levels. This tea combines the nutritional benefits of gogi berries, dandelion and lemon. A perfect spring companion. If you are interested in taking a break from caffeine and giving your adrenals a boost in the morning, this elixir is easy and incredibly delicious. We have been preparing this tea in our kitchen for the past few years and find it to be an extremely powerful tonic elixir. This drink consists of a tea base of rehmannia root, cats claw and p’au d’arco. I add in MCT oil, grass fed collagen peptides, and organic raw whey powder and blend. The superfood of the paleo movement. Bone broth. 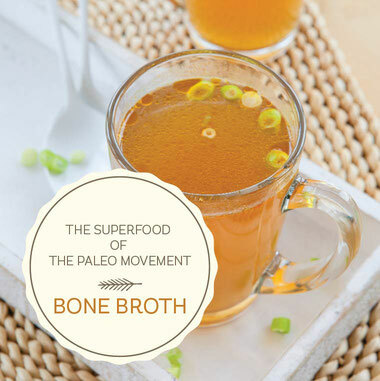 Due to the popularity of the paleolithic diet, it seems bone broth is making a comeback. However bone broth has been around since the dark ages and with good reason. It is a foundational superfood that provides an incredible amount of easy to digest nutrition. its what you digest that counts.